Today, at Google Developer Days China, Google announced the Flutter Release Preview 2. 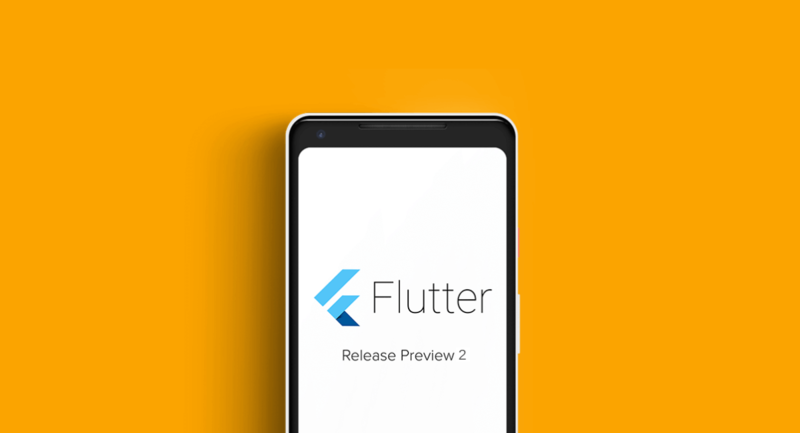 Gladly, this sixth version of Flutter framework, Preview 2 is the final preview of flutter before the stable Flutter 1.0 release. Since the day Flutter Release Preview 1, the Google’s mobile app UI framework has come a long way. 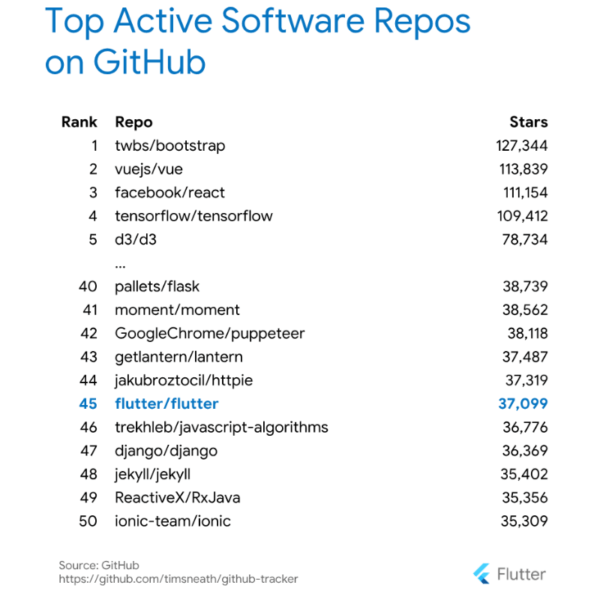 It has not only landed among the Top 50 most active open-source software repos on GitHub. But, has also become the first choice of popular brands, including Google itself, Alibaba, and Tencent Now. Besides, with the support of the open-source community, this cross-platform app development framework has also gained a considerable attention of the mobility experts. As per a recent community survey, 92% of the participated developers are either satisfied or very satisfied with Flutter. 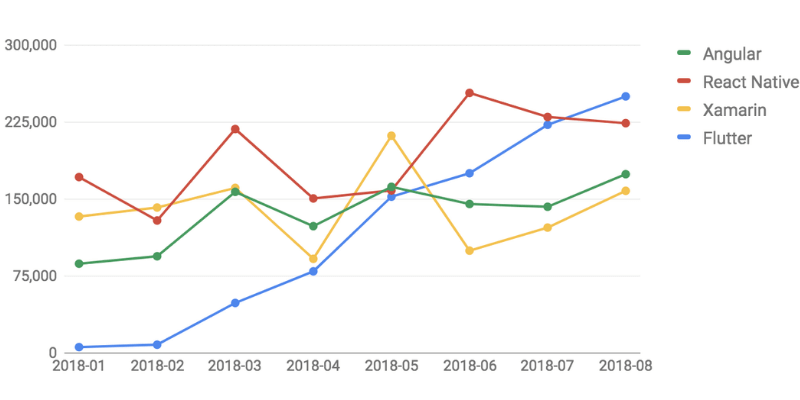 This is a great indication of how swiftly Flutter will continue to grow, once the stable version 1.0 will be out. While there are a few more months to watch Flutter version 1.0 rolled out on our devices, there are still various exciting features in the Flutter Preview 2 that are worthwhile to consider. What’s New in Flutter Release Preview 2? The Google has increased the library of widgets that abide the Apple Interface Guidelines available in their ‘Cupertino’ package. This will aid the Flutter app developers to code swiftly, enforce visual consistency, and make an app that fits with the iOS-style interface. In other words, the Flutter, which already had Material Design widgets for native Android app development feel, will now show the same results at iOS design as well. This is a great step towards Google’s approach to making cross-platform apps that give a native feel. The Flutter Developer Preview 2 has also come up as a solution for the prevailing memory consumption issue. So far, the Flutter versions were somewhat heavy in install size since they were carrying a heap of tools with them. But this time, the Flutter app size has been reduced by an additional 30%. That means the minimal Flutter app size on Android will be 4.7 MB, while it might vary on iOS platform depending on how the iOS packages are built. 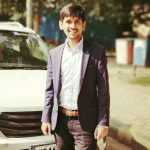 This will enhance the app performance and emerge out as a plus point to consider Flutter app development. Another major update in the Google Flutter Release Preview 2 is the ability to execute Dart code in the background. As per the developers, the Flutter apps will now be activated and run based on timers, location updates, and other such triggers offered by Operating Systems. In this way, the new update will encourage the mobile app developers to turn towards Flutter framework, which will eventually ignite the popularity of Flutter. As announced earlier, the Flutter Preview 2 will be the sixth and final preview of Flutter. Beyond, the Google will launch the stable Flutter version 1.0, most probably by the end of this year. This implies it is the best time to experiment with the platform, submit feature requests, check into the bug reports, and everything that is required to see if the Flutter fits in your use case. So, are you ready for it? How to Access Flutter Release Preview 2? If you are using any of the Flutter Beta versions, you can upgrade to Flutter Release Preview 2 by typing $ flutter upgrade . While, on the flip side, you can directly install it from flutter.io.